Seller is asking $175 for it. I think I'd consider it if it were $100 less. 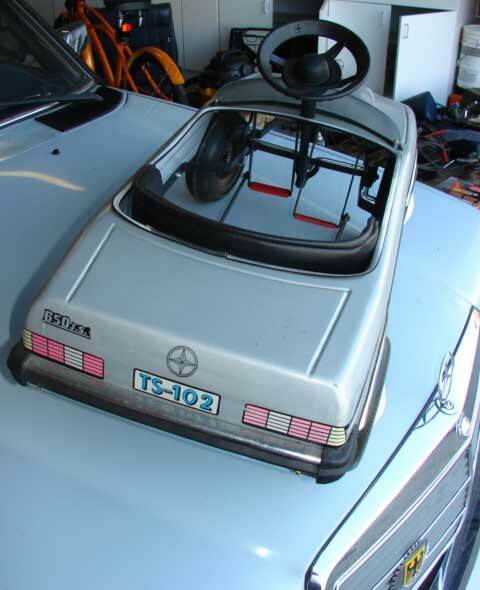 I have a silver one in the garage. My son is due in 2 weeks, but it will be awhile before he can fit. I'm planning to paint it to match my car. In two weeks congratulations....he'll have a blast with that somewhere around age 3! I've seen the silver ones and thought of getting one for littleman but then he would spend all of his time under it or on it fixing the "booboos" just like Dad!! Yea he named my car the "booboo" car. My daughter will be just the right size for one of these real soon. Too bad I won't buy this one. I think those were in a catalog called PB Tweeks a while ago, back in the 80's. Not sure if anybody still makes them. It's a classic! This was the second one I've seen for sale locally this year. Or maybe it's the same one? At the dealership, they were assembling one when I was there. it was my first mercedes && my parents got me hooked. haha. mines gold && I'm painting & badging it the same way as my 240 when I'm done. woot! Same here. Had one when I was a kid....Unfortunately, it ended up in pieces as I disassembled the entire unit and lost critical nuts and bolts, odds and ends. 21 years later, nothings changed in that regard. That's cool. 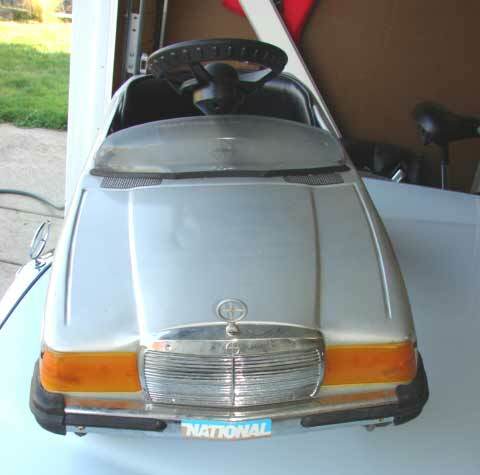 I've only seen the older SL pedal car, a bullet shaped one that has the tristar, and a newer style battery operated SL. Beautiful 240! What is the "U59" on the front bumper?? Here's my son's. It needs a bit of body work. 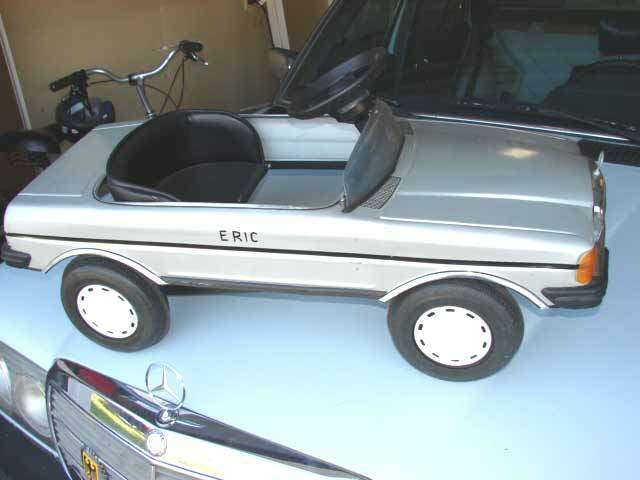 It said "ERIC" on the side when I got it. I plan to repaint it when I am painting the 300D this winter, but I don't think I will paint "OTTO" on it.